Hello everyone, and welcome to DAY ONE, Facebook for business! 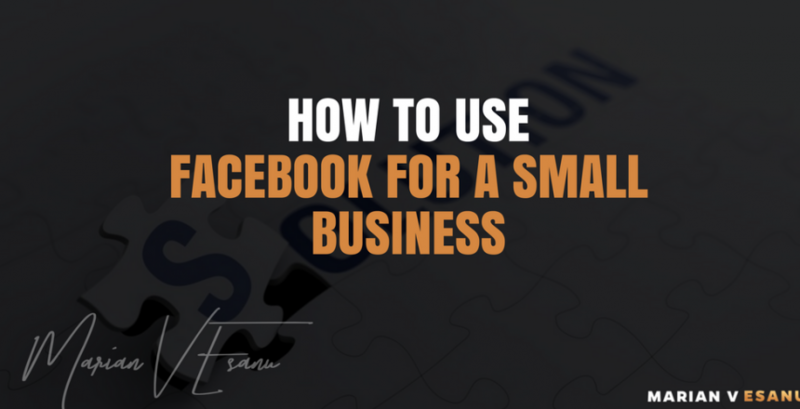 Today we are going to go over the things that you need to know when you use Facebook as a business platform. If this is the first time when you using this, type business.facebook.com You are not going to see anything in there, unless you’ve already created an account. If you don’t have an account, just click the button “Create Business”. You will be asked for your name and email in order to make sure that you are using the same one as you use for your personal Facebook profile. If not, it is going to be hard for you to keep signing in and out, right? Most of the action is going to happen on the “Business Manager” platform. There, you are going to have all the links that you’ll need to access in order to manage your campaigns, create different kinds of audiences, set up different sorts of rules, and other things like that. I am only going to cover the ones that you need to know and the ones that you are going to spend your time on because there is no point in getting into things that you’re not going to end up using. First thing there on top is “Ads Manager”. That is where you are going to manage all of your campaigns and anything that has to do with your ads. “Audiences” is the place where you will be going when creating the audiences that you want to target. If you are running ads for the first time, in the beginning, you are not going to see many things in there. You are able to create custom audiences based on your email list, based on the engagement that people have with your posts or based on the traffic that you get on your website. Cool, right? Now, let’s talk about “Pixels”, which is something related to the “Audience” part because you are able to track the behavior of your web visitors. Also, you are able to create different sorts of rules, so you can tell Facebook: “Hey, track people that land on my landing page, but don’t end up on my Thank you page” because this means that they are not becoming leads. What is cool about pixels is that you are able to create just one pixel per page and, this way, you can’t get confused. What about “Audience Insights”? Well, this is the place where you should go to gather information if you don’t have enough or if you have no idea about your audience. So, if you don’t know about your audience, this is the place where you can go deeper and find out more about your audience. To be honest, you are not going to spend much time in the “Creative Hub” section unless you are really deep into what’s going on behind the design of your campaign mockups and things like that. “Business Manager” represents the place where you will be able to see all the information about what’s going on with your Facebook campaigns. Basically, you are going to see the entire dashboard. “Page Posts” is mainly the post that you have on a specific page. Either you own the page or you are an admin if you have clients that you run Facebook ads for. You are not going to use “App Dashboard” unless you are an app developer. We are not going to get into “Automated Rules” now because you need to master what’s manual before you actually get into rules. For example, if your ad has a budget of 10 bucks and by the end of 5 pm on Monday, the budget is spent, “Automated Rules” increase the budget by 5 more dollars. “Ads Reporting” is the place where you can manage your reports and customize the ways in which you would like to see them. You can “Test and Learn” different kinds of articles about Facebook ads and also how you can actually set up tests for your own campaigns and see what causes the lowest cost conversions to occur. “Analytics” is exactly what it says. On “Events Manager” you are going to be able to manage the events of your page if you actually have any pixels. If you track sales outside your online campaigns, you can use “Offline Sales”, but remember that you really need to know your numbers pretty well in order to do that. “App Events” is basically what it says. “Custom Conversions” is the place where you are actually going to spend some time once you get to learn pixels and custom audiences. You are going to create different sorts of conversions based on your events so, for example, you are able to create custom conversions based on the leads that are generated from your own campaign. Then, we got “Partner Integration”, but you are not going to use any of these unless you have different brands that you have partnerships with as you will be able to integrate those in there. It is very obvious what “Images” is. This section gives you some ideas about how you can actually create your images, which can be very helpful. You are not going to use “Catalogs” at all. If you have different locations in different parts of the world, you can use “Business Locations” and you will be able to add all of your locations. For example, if you have a local business that has different offices in like six different states, you will be able to add all the addresses in there. “Settings” is, of course, the place where you are going to be able to set up some sort of settings for your account in terms of, you know, what’s your address, what’s your ID number and stuff like that. Again, in the section “Business Settings”, you are going to be able to see, once you’ve created an ad account, all the settings that are necessary. You are going to be able to add people to your page, you are going to be able to add pages to yourself and, if you are going to be the admin, you are going to manage ads for different companies. Basically, all the action is going to happen mostly in here: “People”, “Pages”, “Ad Accounts” and “Pixels”. Also, if you would like to have your Instagram accounts connected to your Facebook Ad Accounts so you can run ads from both of them, you can do this from the section “Instagram Accounts”. “Billing” is the place where you are going to add the payment method for each ad account that you are going to have.